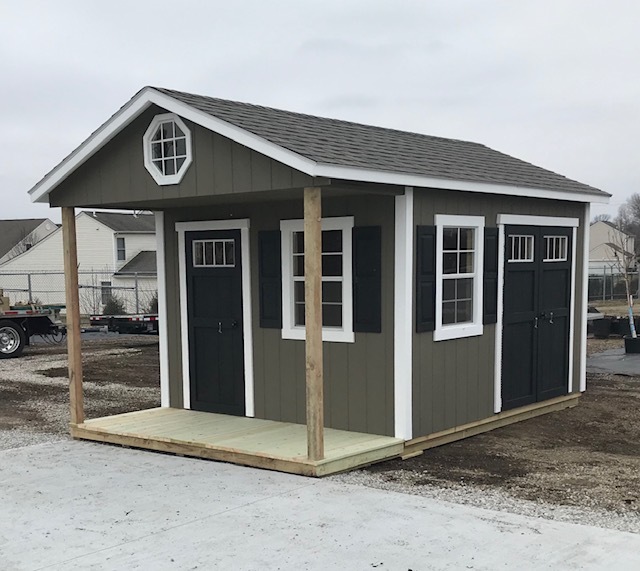 We offer 3 Different Cabin Designs. 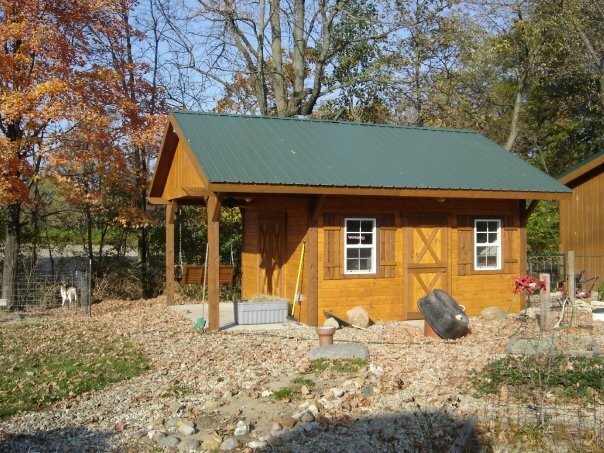 All Cabins feature a 4' Porch with Posts, 7' Walls,a Pair of Doors, a Single Door & 2 Windows & Lofts. 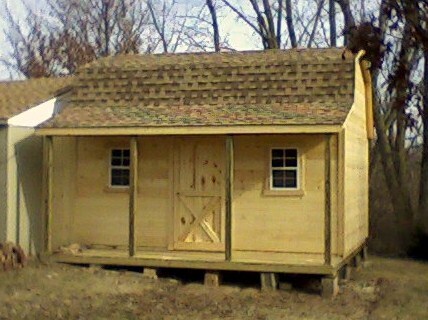 The Grand Barn Cabin is our tallest Cabin and features 2 large overhead lofts & a 4' Porch on long side of the barn. 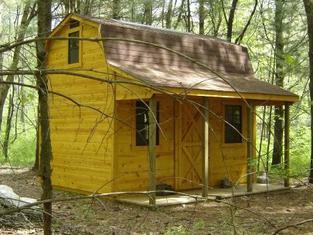 The Creek Cabin Features a 4' Porch on the Long Side of the Building. 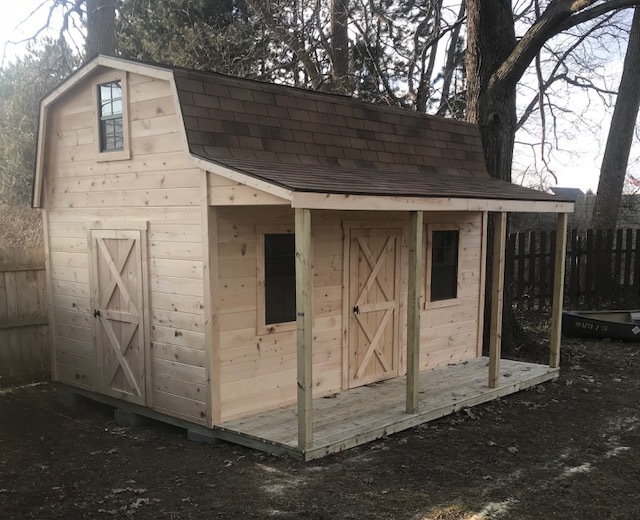 The Portico Cabin Features a Porch on the end of the building. Painting is additional , Paint & Trim two Colors Add 15%.